Beautiful shabby chiffon rose trim in kapow Red! 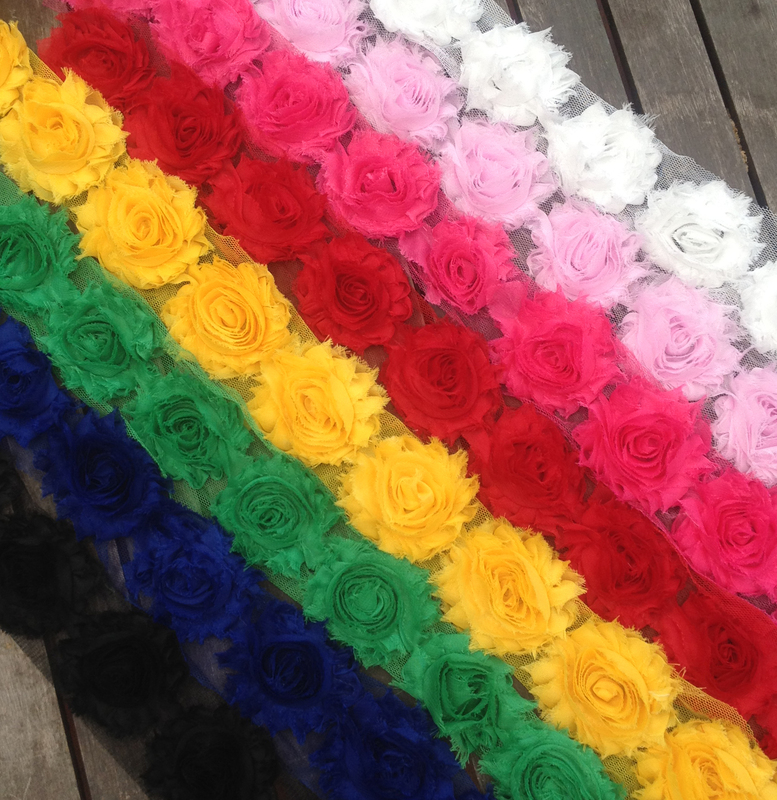 Each rose measures approximately 2.5 inches (6.5 cm) across and come attached to netting. Either use it as a trim or as an applique accent to headbands, clips or clothing. There are 14 flowers in each yard.